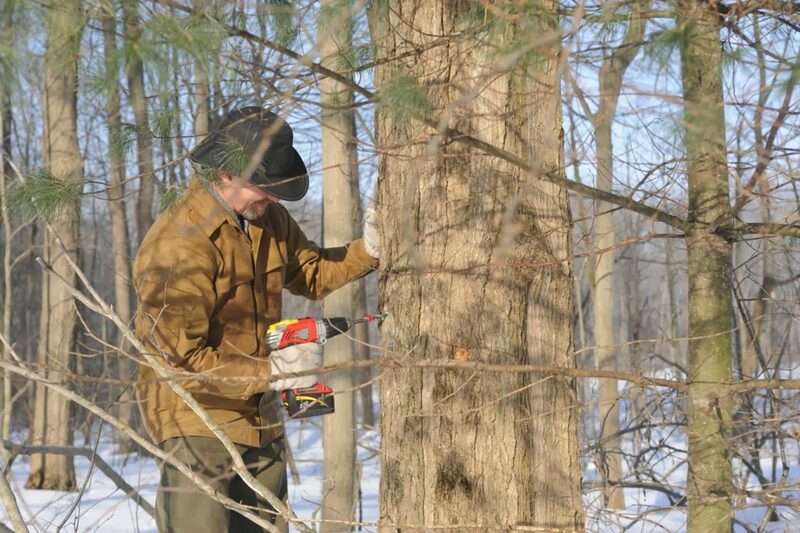 Very Early Spring 2014 – Tapping the Sugar Maples! Yes indeed, spring has sprung! 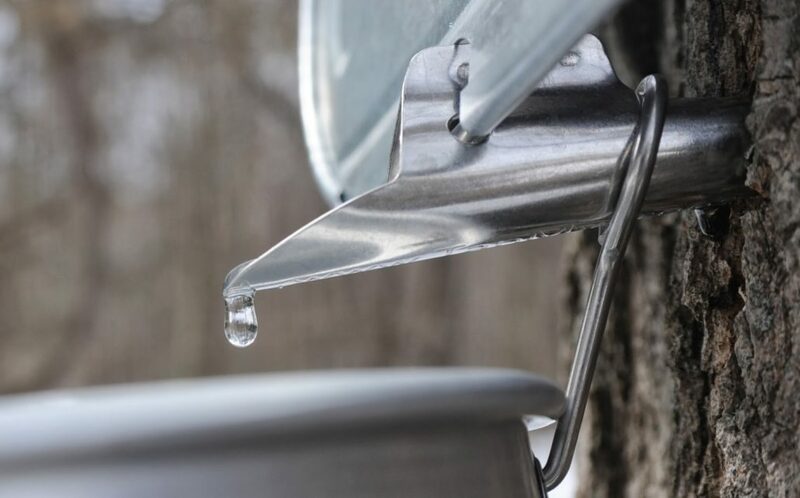 And not only because we set our clocks ahead, but more importantly because sap is flowing from our maple trees which is a more certain sign of spring! We are very excited, especially since maple syrup will be one of the very first “products” of the homestead. I am convinced that it will be well worth the work involved in its production. Maple tree sap flows when daytime temperatures exceed freezing, 32 deg F, and nighttime temperatures dip below the freezing mark. The temperatures above freezing create a “positive pressure” within the tree, forcing sap out of the tap, while temperatures below freezing create a “negative pressure” within the tree, causing more sap to be pulled up from the roots and into the sap wood. The optimum variation is said to be a high of 40 deg F and a low of 20 deg F; we tapped Sunday morning at about 9 a.m., after an overnight low of 17 deg F and leading to a daytime high of 42 deg F, and sap was flowing by noon the same day! 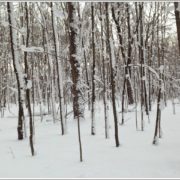 In addition to the freeze-thaw cycle, maple trees are an obvious requirement for the production of maple syrup or sugar. The two most productive types of maples are the appropriately named “sugar maple,” and the black maple, followed by the red maple and the silver maple. The sugar content of sugar and black maple sap is typically in the range of 2.0-5.0%. 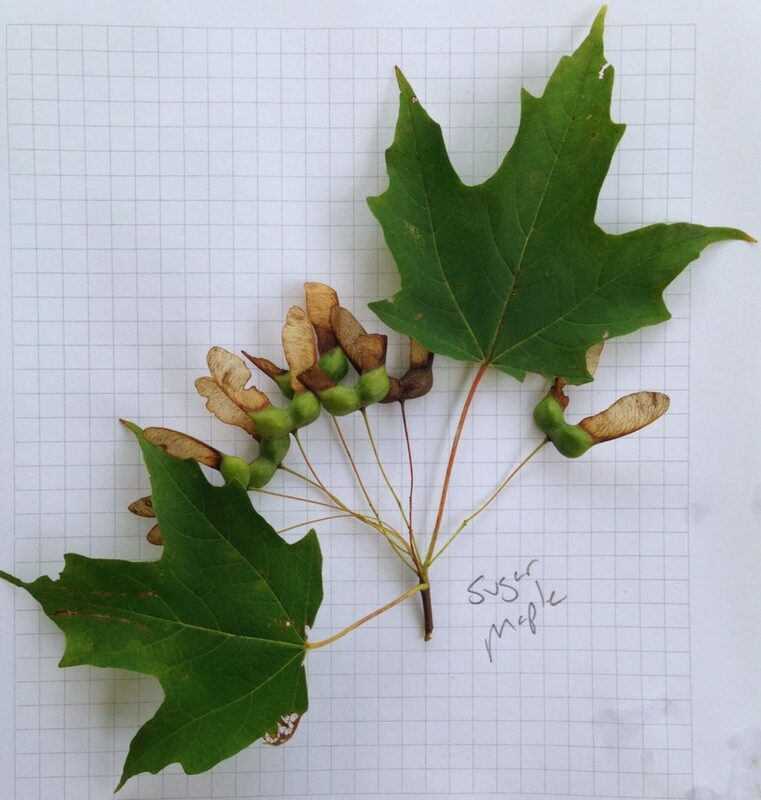 I identified seven sugar maples last summer using leaves and fruits (samara), and a further six this past Saturday; for the winter identification I relied heavily on Michigan Trees, Revised and Updated: A Guide to the Trees of the Great Lakes Region , and specifically on the presence of opposite twigs and visible (dried) male flowers. In some cases I needed my binoculars to see the male flowers far up in the canopy. 5) Be amazed at nature’s abundance! Our trees started flowing within a few hours of tapping, quickly bringing on the next “problem,” which is “what do I do with all of this sap?” By early the morning after, just 18 hours after we had tapped the trees, we had collected a total of just over 6 gallons of sap from 12 trees! Since it takes 43 gallons of sap to make 1 gallon of syrup (assuming the sap is 2% sugar), it takes large amounts of sap to make very modest amounts of syrup. If the twelve trees continue to flow as they did the first 18 hours, they will generate 24 gallons of sap every three days. 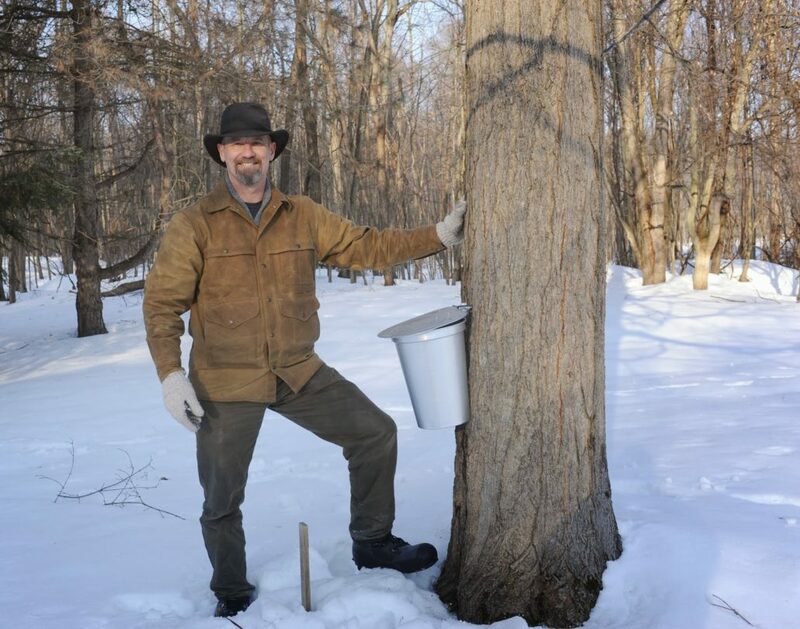 Sap will “sour,” making it unusable in the making of maple syrup, if it is allowed to ferment before processing. To avoid warming and fermentation of the sap we are transferring the sap from the 2-gallon aluminum collection buckets on the tree, to 5-gallon food grade buckets, which we then store in shade on the north side of our garage, with snow piled up to the lid and completely around each bucket. 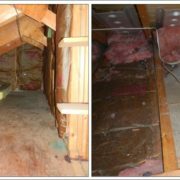 We may also freeze 5-gallon buckets of sap in a chest freezer to await processing. We have several of the 5-gallon food grade plastic buckets, and if that is not enough, 32-gallon food grade plastic trash barrels with lids will be used, which we will surround with snow in the same manner as with the 5-gallon buckets if necessary. Even so, we will taste each source of sap before adding its contents to the evaporator, as a small amount of soured sap can spoil a large amount of the precious syrup. 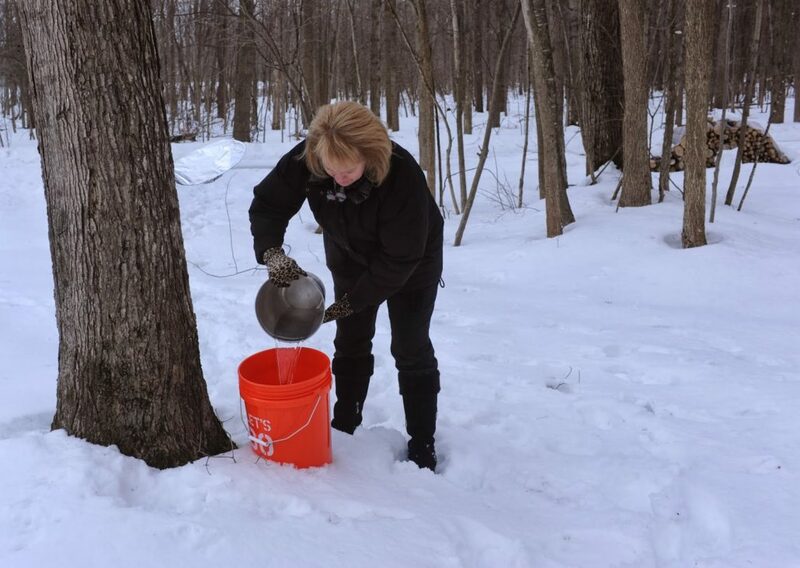 We expect to process our first batch of sap into maple syrup within two weeks. I will post our experience with the evaporation process, and hopefully the results of our taste tests! Your comments and criticisms, your inputs and acknowledgements, are welcomed, and will help me to improve my posts. Please “follow” the blog. 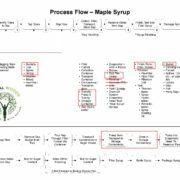 “Sap Flow,” Cornell Sugar Maple Research & Extension Program, Web. Retrieved 10 March 2014. Barnes, Burton V., and Warren H. Wagner, Jr. Michigan Trees, Revised and Updated: A Guide to the Trees of the Great Lakes Region . Ann Arbor: University of Michigan, 2004. Print. McHale, Joe, Maple Sugaring at Home , U.S.A.:Reine Publishing Group, LLC, 2010. Print. https://primalwoods.com/wp-content/uploads/2014/03/Sugar_Maple_leaves-samara-1.jpg 1600 1522 John Newell https://primalwoods.com/wp-content/uploads/2016/04/logo200.png John Newell2014-03-10 23:15:002016-06-28 21:41:53Very Early Spring 2014 - Tapping the Sugar Maples! Thanks Gina for your kind words. It is a labor and energy intensive process; it does not take long to understand why pure maple syrup costs what it does at the store. Pancakes with pure maple syrup will be on the menu soon! 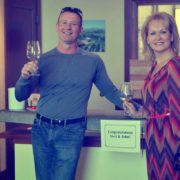 I'm quite impressed with your blog, John! While there have only been a few posts so far, you've set the bar pretty high with great writing, ample helpful photos, and even lists of citations (that last part is above and beyond what I usually see). I am glad you found the Permaculture group and I look forward to following along with you here and learning from your experiences (I added a link to the blog on our website). Documentation is really a gift to the world, but it's something I have not done a great job of myself, at least in writing. Thanks again and and happy homesteading! Thank you for the positive feedback PJ, and for adding the blog to the website. You are correct, whether it be at work, or home, or related to an avocation, we tend to not document our experiences very well. Hopefully the detailed record will be helpful to readers. Please "follow" or "follow by email" on the blog!